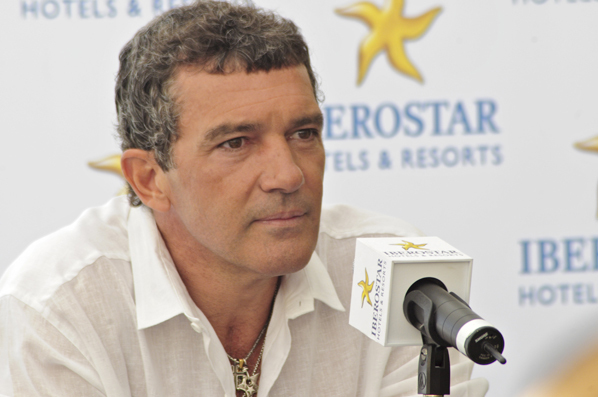 Iberostar Hotels & Resorts officially opened the new Iberostar Cancun during an inauguration ceremony this morning with Miguel Fluxá, executive chairman of the company, and Antonio Banderas, brand ambassador since 2010. The brand invested €79 million in the purchase and renovation of the Iberostar Cancun after it closed its doors in August 2011 for the refurbishment of facilities. The goal was to enhance the property with the IBEROSTAR standards and quality reflective of the brand’s main pillars: service, restaurants and entertainment. Miguel Fluxá, executive chairman, Grupo Iberostar, stated: “The acquisition of Iberostar Cancun solidifies our commitment to the destination as a primary business objective. Among the renovations made during these months, were the refurbishment of the main lobby areas and the lobby at the hotel bar, as well as construction of new terraces at the swimming pools. In order to enhance the gastronomic offering a new Grand Buffet was opened in addition to four new specialty restaurants: Gourmet, Japanese, Steak House and Mexican. With the aim of further developing entertainment offerings, a new stage/theatre was built for shows, as well as a new Mini Club for children including a water park and a Teenie Club for teenagers. The result is the new Iberostar Cancún, which officially opened its doors today. The five-star hotel resort is located in the first line of the seaside and just 15 minutes away from Cancun Airport, aiming to become a landmark for tourism in the Caribbean, in both business and travel. Gloria Guevara, Mexico’s secretary of tourism shared her appreciation for Iberostar’s commitment to the nation’s tourism industry by stating: “The grand opening of the Iberostar Cancun reinforces an increase of activity and travel to Mexico as well as tourism offerings within the region.